I just received the great news that our music colleague Andrew Forster from Messalonskee High School in Oakland is moving along in the process for the 2017 Maine Teacher of the Year. Andy is one of 8 county teachers of the year that is moving to the next step in the process. CONGRATULATIONS Andy and a BIG HIP HIP HOORAY! This blog post is part of a series called Who Are They? where information is provided for the Maine Arts Ed blog readers to learn about community organizations and institutions that provide educational opportunities in the arts. You will learn that they are partnering with other organizations and schools to extend learning opportunities, not supplant. Bay Chamber Concerts and Music School is the first organization being highlighted. 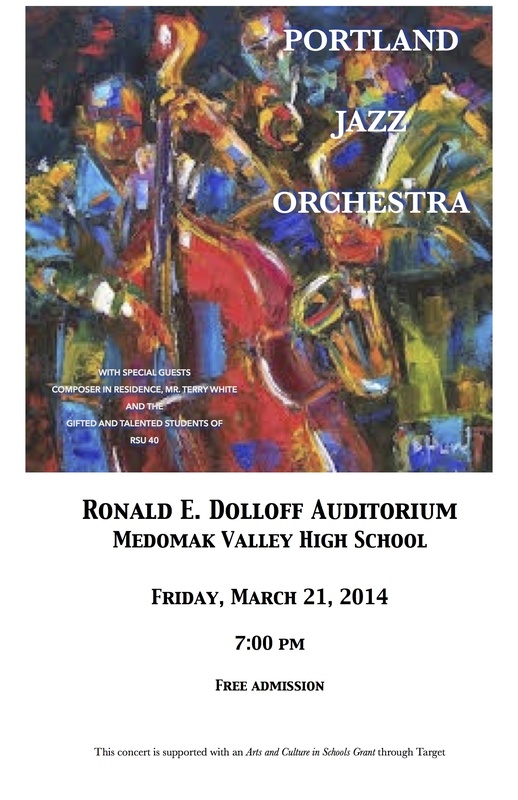 Located in Rockport, they provide rich music opportunities for students of all ages in the mid-coast area. Monica Kelly is the Executive Director. 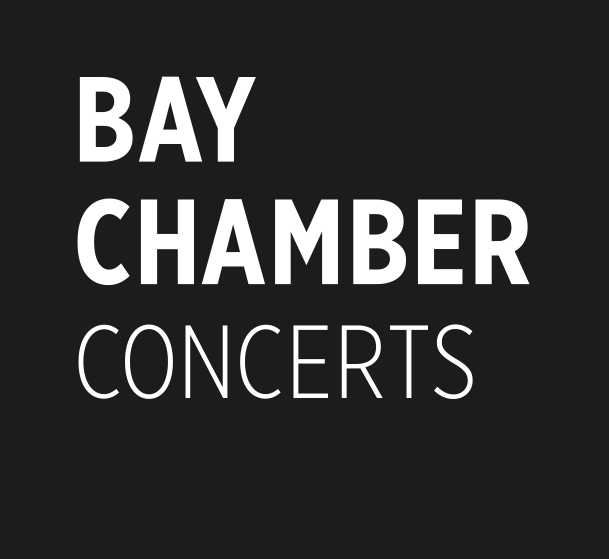 You can learn more at http://www.baychamberconcerts.org/. This is the last post on Bay Chamber Concerts and Music School and the following one was written by Laura Chaney, the development director and can be reached at laura@baychamberconcerts.org. 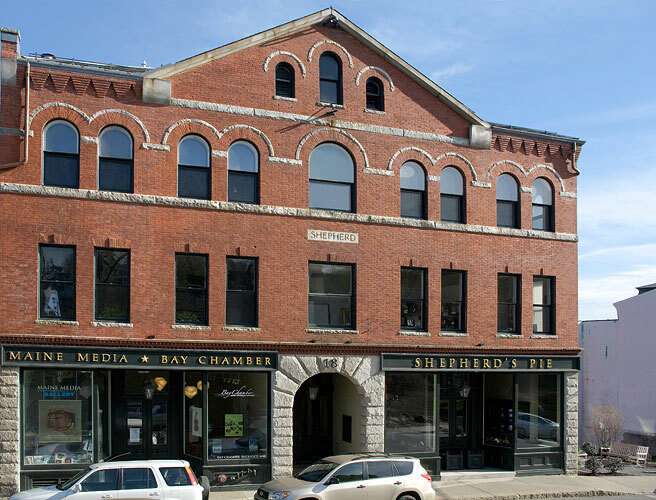 Please tell the Maine Arts Ed blog readers about your role at Bay Chamber. I am the Director of Development at Bay Chamber Concerts and Music School, a role that helps generate necessary resources to enable Bay Chamber to invest in its programs and services for thousands of citizens of all ages across Mid-Coast Maine. I am also a fairly new adult student at the Bay Chamber Music School, enrolled in private violin instruction since September 2013. Bay Chamber offers access to an expert faculty, a welcoming atmosphere for interested students of all ages, and affordability regardless of one’s financial status. 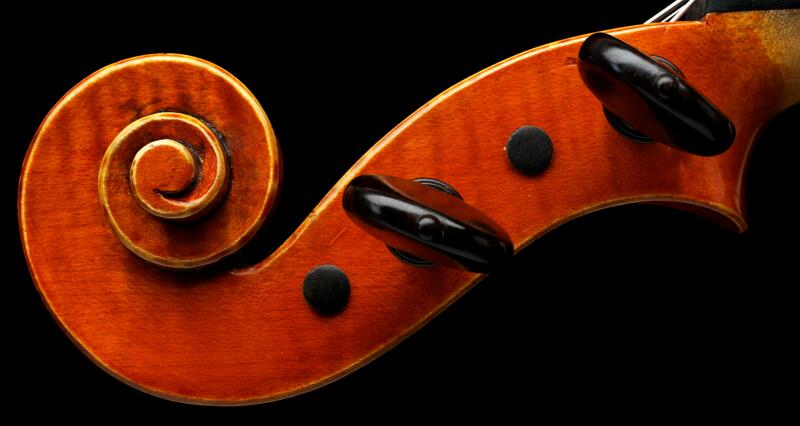 Please tell the story of how and why you decided to take violin lessons at Bay Chamber. A native Mainer who returned to the state after a 30 year hiatus to join the staff here at Bay Chamber, I made a personal commitment to return to some form of music instruction. Having been a vocalist and dabbler in other musical instruments, I had contemplated returning to voice or piano instruction and then decided that I wanted to challenge myself with learning something completely new. I settled on the violin for many wondrous reasons, with one core factor being the ease of transportability in a boat for summer living along the Maine coast. What do you know about the benefits of taking lessons or learning something knew as we begin to age? I promised to give myself the gift of music for two major reasons: to rediscover the passion that music inspires in my soul and that had been put on hold for sundry reasons, and to reinvigorate my brain. It is well-documented that routine reduces brain synapsis responsible for healthy memory functioning and I felt that as I approach my 60’s, it would enhance my life greatly to keep my brain healthy and active. Music is one of the most influential energies for extending auditory, communication and concentration abilities as well. All of these benefits in addition to the joy that arises from learning, playing, and working through each new musical challenge are gifts I give to myself each and every day. Can you relate your experiences learning the violin in comparison to what you know about the benefits? On many an occasion, I say to my talented and compassionate instructor Gilda, “this makes me feel like my brain is twisting!” I literally can feel my brain working hard to tackle new learning curves, which with the violin, are mental and physical. I am activating muscles I have not used, strengthening fingers that are gaining unforeseen agility, working to separate my right from my left hand functions, focusing on relaxation (definitely a challenge for someone like me), and gaining mental flexibility and concentration in my work and in general. It is nearly one and a half years since starting my new musical endeavor. I do feel I think differently, that I am a bit more at mental ease and responsive. I look forward to what comes next! The fear of the unknown, fear of failure and fear of not being able to learn something new tends to trap us adults into sticking with similar habits day in and day out – whether it be our jobs, our homes, our daily rhythms that we have established throughout our many decades. Science tells us that we need to shake things up for ourselves to remain vital and healthy, and I might add, happy. Music sends energy waves throughout our body like no other discipline has yet shown. Pick up a new instrument today and learn something new about yourself that you did not notice yesterday. It is well worth the try. The following post was written by Jessica Day, instructor and can be reached at director@mdicoastmusictogether.com. Please provide information on your background so the Maine Arts Ed blog readers can learn about you Jess. I have been an active educator and facilitator for over 20 years. Over the years I have participated in Music, Movement and Wellness programs with my children, now 8 and 7 years old, and they are in part the inspiration behind my launching my business in 2008 as Owner, Director and Teacher of Midcoast Music Together and JAMMM (Jess’ Music, Movement, Mindfulness Programs). I joined Bay Chamber School of Music as it opened its doors in 2011, to support the School’s development of its early childhood music and movement program which today offers a variety of programs, including Music Explorations: Hum, Strum, Drum and Play, and Music Together Family Classes to over 150 Families per year. I am passionate about the power of music and working with children and families. What are your major responsibilities at Bay Chamber Concerts and Music School? 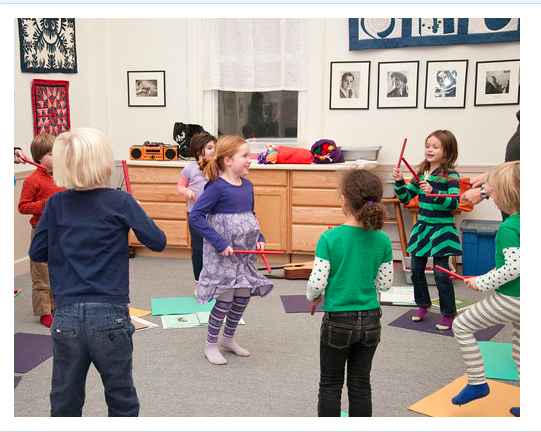 I brought Music Together, an international early childhood music and movement program for children from birth through age 7—to Bay Chamber in 2011 when the school opened in Rockport. It was a wonderful synergy and now I feel that Bay Chamber is the heart/center of my business! Since I started teaching at Bay Chamber- we have served approximately 150 families a year at Bay Chamber alone – just in the early childhood program. It’s a wonderful space for our local communities near and far to gather, learn and play music together. By 2012 we expanded the Music Together programs to “Big Kids” for 5-7 year olds as well as a Music Together “Guitar for Grownups”. Monica encouraged me to create a class for Bay Chamber – for children ages 6-9years (1-3rd graders). Passionate about the work- I was thrilled at the opportunity. Tell us about the Musical Explorations curriculum for children ages 6-9. In the fall of 2014- we created Hum, Strum, Drum & Play- Music Explorations for children ages 6-9 years old. A natural next step for children growing out of early childhood music programming into deeper and more directed musical explorations and instrument study. This class was created to compliment and prepare children for formal music instruction and school based music education, while giving them a strong foundation for a lifetime of music enjoyment. It is meant to be an enriching, fun, affordable/accessible afterschool program. Also for families whose focus might not be on music – to allow their children to learn, play and explore music and themselves in a different environment. This group class allows children to explore the world of music by making (singing, playing & listening) music in a group setting. We introduce basic music concepts and skills through exploration with a variety of percussion instruments, ukulele and recorder. 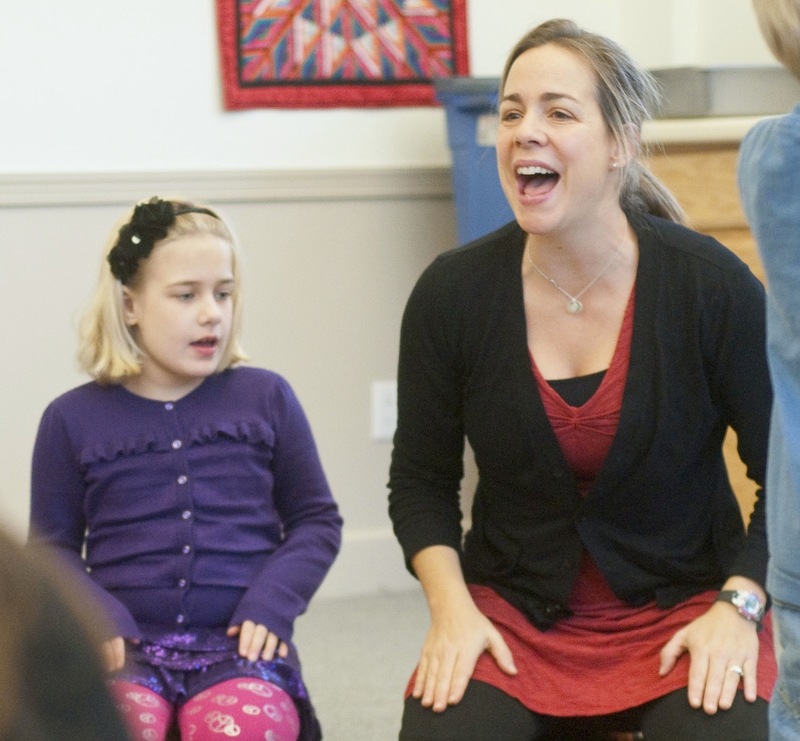 Children will learn fun and age-appropriate ways to sing and express themselves. Students sing, move, play, improvise (ensemble and solo work) and listen to a wide range of music. All students are allowed to develop at their own pace, and are encouraged to reach toward their potential. This class is a great choice for students who are considering lessons or as a companion to private instruction- and/or want more exposure to music/musical instruments. We provide a musically rich environment that welcomes participation with songs in a range of musical styles from lyrical to blues and world music and folk. When children are young, music has a tremendous power to enhance, not only their love of music and the joy it brings, but also their overall development. In addition, they are building life skills such as leadership, decision-making, active listening and teamwork along with their music skills and understanding. Gets children moving, thinking, and listening differently- trying themselves on in new ways, improvising, leading, playing together. Group dynamics. Limited to 10 students, our first class filled immediately this Fall- Wednesdays afterschool 3:45-4:45pm. We had children from St George, Waldoboro, Camden, Lincolnville, Hope, Rockland and Rockport. Have you observed benefits to children when they begin exploring music with you? I have noticed a greater overall confidence, risk taking, musical skill development, and overall joy and pride. They are able to engage, improvise/create, and there’s an enthusiasm to learning. They were left wanting more! I use Carnegie Hall Educator Toolkit as one of my sources for teacher tools and assessment. I hope to provide children with an enthusiasm, curiosity and love of music. Brain research shows us that music taps a part of the brain’s “musical memory”- if I can help in providing our children with music and positive musical memories- they will have this for the rest of their lives! Bay Chamber Concerts and Music School is the first organization being highlighted. Located in Rockport, they provide rich music opportunities for students of all ages in the mid-coast area. Monica Kelly is the Executive Director and you can learn more at http://www.baychamberconcerts.org/. I was invited to join the Board of Trustees. At that time I had three young children who I was very determined to introduce to music, especially classical music. My childhood was spent surrounded by the arts as my mother was born in Rome, Italy and my father, Dublin, Ireland. Both of my parents were devoted art and music lovers and came from a heritage rich in cultural opportunities. I wanted the same for my children and Bay Chamber was an organization where I saw great integrity and great potential. I immediately got involved in the education arm at Bay Chamber which, at that time, had a focus on a summer music camp called Next Generation for Maine students who had an interest in playing chamber music together. Along with this intensive program, Bay Chamber offered student matinee performances featuring musicians, dancers and artists that were part of their off-season concert series and a prize program called Young Stars of Maine. Learning about the musical opportunities for children in our community brought me to found a youth orchestra in 2000, independently of Bay Chamber, called Odeon. We started with a very modest group of 8 students of all ages and abilities and grew to over 40 by 2006 when we were invited to merge with Bay Chamber Concerts. Through that merger, I joined the staff of Bay Chamber as Director of Education. 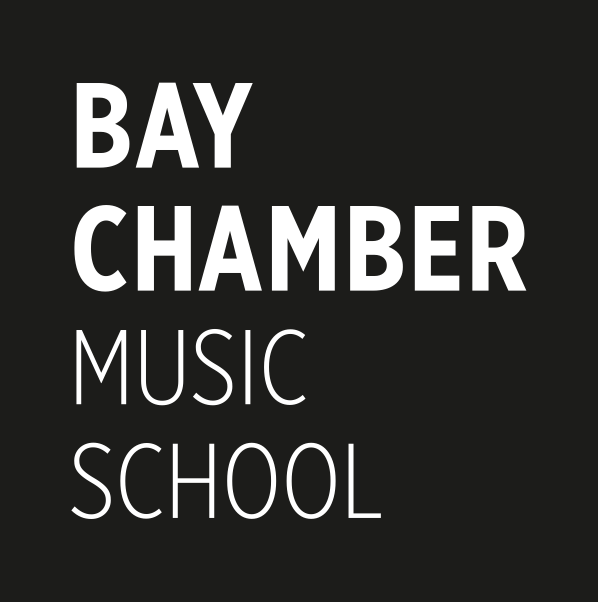 Along with some very passionate board members, we began the long process of forming a music school and in 2011 the Bay Chamber Music School was born. As we were seeing school budgets for the arts cut dramatically in our area, our intention was always to supplement what the schools could do, focusing on private lessons, strings ensembles, and group classes for the very young. We recruited a faculty of professional musicians who have advanced degrees in their instrument and perform regularly in the concert hall. Through the generosity of our donors, we are able to offer a financial aid program that allows us to offer up to 75% of tuition to those who qualify. One of the important ways we try to distinguish ourselves as a music school is by offering many ways for student musicians of all ages to connect with each other and make music together in ensembles. Today our music school sees an average of over 300 enrollments per year and reaches many, many more through our student matinee and community engagement programming. We have partnered with Carnegie Hall and the Passages program of Wayfinder Schools to offer the Lullaby Project, a song writing workshop for teen parents. This spring we are partnering with the Camden Conference to put on a series of Odeon concerts related to their theme, Russia Resurgent. As the Music School continues to grow and thrive we are always looking for ways to partner with schools to work together to bring live music into the hearts and minds of as many young people as possible. On March 27th at 9:30am at the Camden Opera House, we are offering a free matinee to middle schoolers featuring the a cappella group Overboard. As I write there are still some spots available, so if you would like more information on hearing this dynamic and vibrant in action please contact me at monica@baychamberconcerts.org. This online professional development course helps participants understand how to create lesson plans that include embedded standards in the music curriculum. Music teachers set high standards for their students by the nature of what they do. Performances have to make audiences and performers alike happy. But just getting applause and a “good job” from an administrator doesn’t mean you can readily prove what your students know and are able to do. No matter where you are, this class will show you how to “begin with the end in mind” and structure your teaching around State, National and/or Common Core standards. 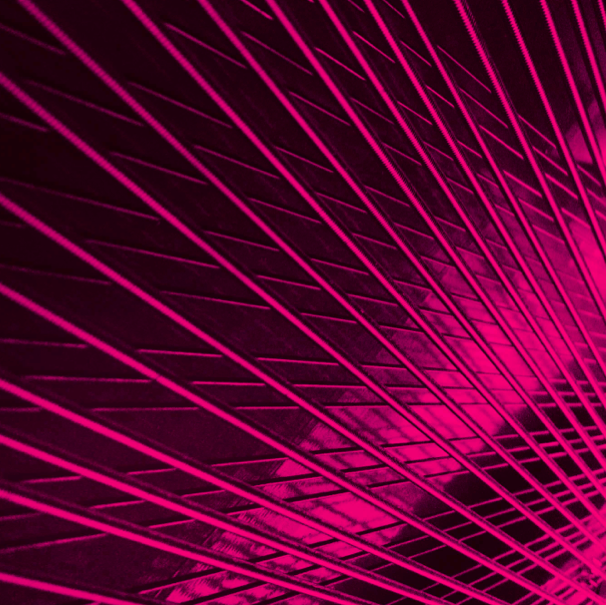 We’ll explore online tools, building authentic rubrics, and how to manage your data. More importantly, you’ll learn how to enhance what you already do while meeting your Standards requirements. Upon completion of this course, learners will understand how to create lesson plans that include embedded standards in music. Use of web-based technology will enhance this process and embed 21st Century skills throughout the course. This course also provides a component of each of the six Standards of the North Carolina Teacher Evaluation process. Collaborate with classroom or core subject teacher. Develop effective rubrics for both teacher and student. Adapt a lesson plan template to incorporate standards. Explore online collaboration and/or storage tools. Work collaboratively with peers to develop a standards aligned lesson and/or unit. This course is being taught by Barbara Vinal (Packales) with a start date of July 9, 2014. To register please click here. Featuring the music of Maine composers/arrangers Terry White, Craig Skeffington, and others, as well as the premier of a piece that Terry and the Gifted and Talented students of RSU40 district helped compose.